Chittoor, Andhra Pradesh May 14(UNI) Free power would be provided to 50,000 new farmers during the year, Andhra Pradesh Agricultural and Civil Supplies Minister N Raghuveera Reddy said. Speaking at the function of the second phase of Prajapatham here yesterday, he said Chief Minister Y S Rajasekhara Reddy would perform bhoomi puja for the Handri Neav major irrigation project within 15 days. 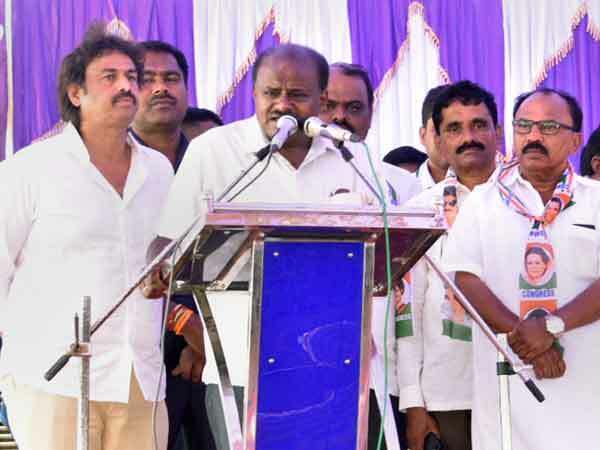 He said Dr Reddy would also ensure 70 lakh acres of land, besides solving the water problem in Chittoor, Madanapalle and Palemaner in the district by diverting water from the proposed project. The Chief Minister would give clearance to 4.5 lakh LPG connection under the 'Deepam Scheme' for distribution among the poor soon, he added.